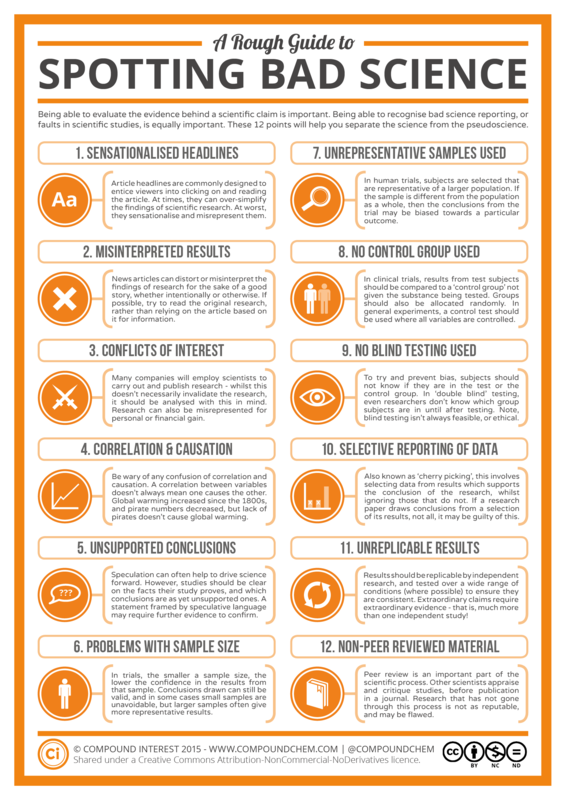 Okay, this is pretty silly, but starts out with some interesting comparisons. 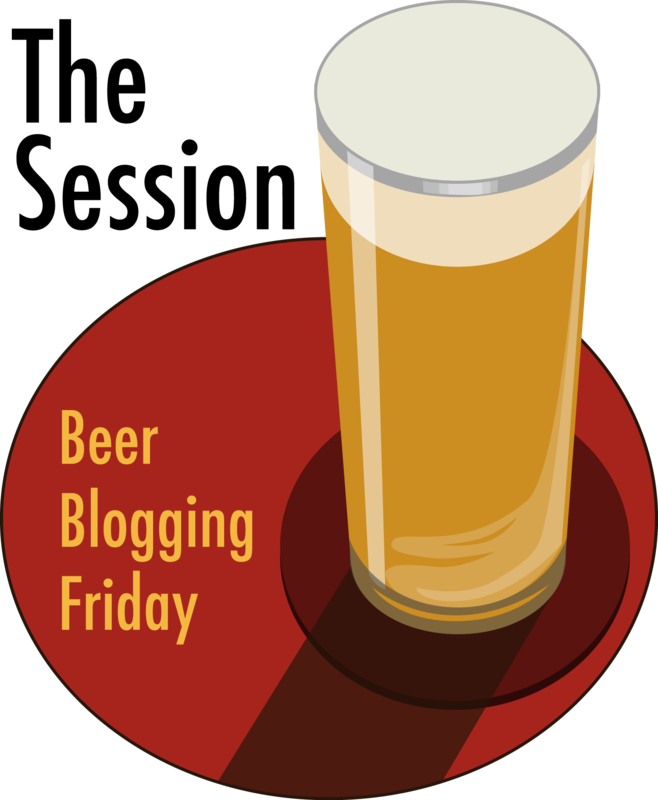 The infographic by Visually, asks the question If Your Blog Were A Beer, What Kind Would It Be? Once they start trying to define blogs by type of beer, it goes off the rails. For example, calling stouts “the heavyweights of the beer world,” shows that they don’t really understand their beer. Still, it’s fun little exercise, even it went goofy in its execution. Oh, and I don’t think I fit any of their identified blogs. You’d have to be living under a rock to not have seen the news that ABI was planning a takeover bid to acquire SABMiller, which might work unless SABMiller might be able to buy Heineken, thus making itself too big for ABI to get in a hostile takeover. These rumors have long been circulating so nobody who’s been paying attention to the beer industry was too surprised at these announcements. 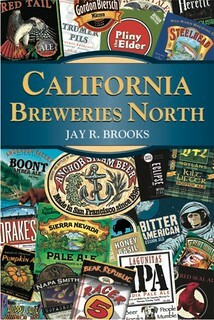 But so far I haven’t seen too much discussion about what the beer world might look like if any of these come to pass. 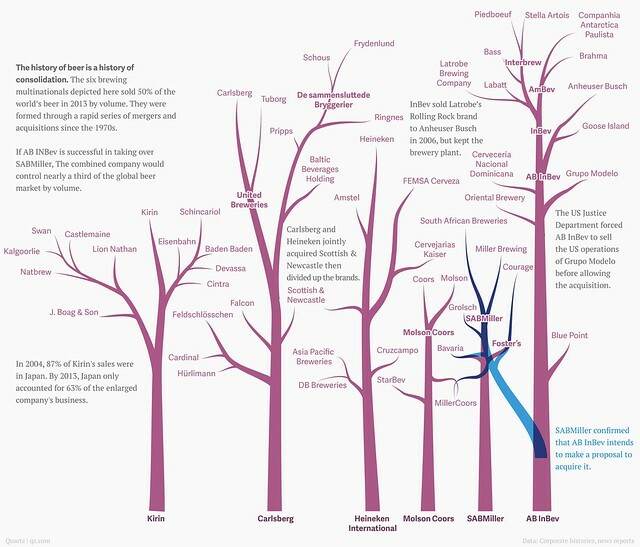 The online news site Quartz filled that gap by producing a chart showing that This is what the family tree of beer companies will look like if AB InBev acquires SABMiller. Here’s another interesting map of the U.S., supposedly showing the most popular beer for each state. I have no idea how the data was compiled as the creator of the map, and presumably the data behind it, CubeYou, all day yesterday presented you with the following error message when you click on State by State Favorite Beer: “Error establishing a database connection.” And you get that same message even trying to visit their home page so either they’ve been inundated with visitors today (doubtful) or something’s going on with their website (but whatever it is has been going on for several hours). This morning it was finally back up, but we’re no closer to understanding their methodology. They state that “the Beer Map below illustrates the beer brands that have the highest popularity in each state. Popularity indicates how popular a beer is in each state compared with the national distribution.” But that really doesn’t tell us much. And not having any information about who’s in second, third, etc. also makes it difficult to rely on their data. There are a lot of local favorites, and of course the big boys hold sway in a number of states (10 for ABI beers and 2 apiece for Coors, Miller and Pabst). A few I can’t quite make out because of the size of the map so my own analysis may be off accordingly. Lagunitas owns both California and Illinois, where they have breweries. Heineken’s got Nevada and Hawaii (damn tourists) and imports rule in a few more states, sadly. A few more curious spots: Coors in Washington, and more surprising, Alaskan Brewing in Oregon. Given how fiercely loyal the state is toward their beer, that surprises me most of all, but maybe it has to do with how many strong brands their are in Oregon and that causes them to cancel one another out (or maybe it’s just wrong). UPDATE: Now that I’m able to see the map larger and make out all of the name on it, even more problems emerge. In Minnesota and Tennessee, Midwest Supplies is listed as those states’ most popular beer, even though it’s a homebrew supply store. Arkansas and Montana have listed “Craft Beer On Tap,” a generic logo and not a brand at all as far as I can tell. Ceres, the Danish beer, in Florida seems questionable and as a reader pointed out, Yuengling is not even distributed in the state of Maine so it’s hard to see how it could be the most popular beer there. And as another reader mentioned, Dogfish Head not being the most popular in their home state of Delaware stretches credulity, as well, and all of these issues in total are making this exercise veer toward farce or chicanery. Whatever CubeYou’s actual methodology might have been, it’s hard to see that they produced any legitimate results. 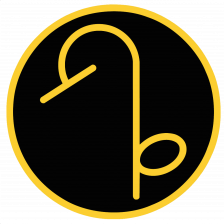 I had wished once their website was back up that there would be more transparency about how the data was collected and perhaps even a way to peek into the raw data itself. Unfortunately, if anything, they seem to have gone out of their way to obfuscate how they arrived upon the results. One of the byproducts of keeping a close watch on prohibitionist groups and other so-called non-profit organizations is that I’ve become quite jaded not just about those particular ones, but about the charitable industrial complex in general. It’s really become big business and, in my opinion, most have strayed very far from the (hopefully) good intentions that spawned them. 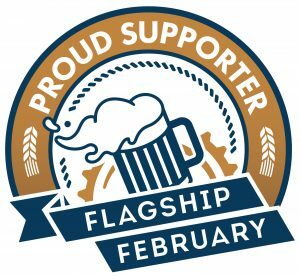 Longtime readers will recognize this thread, that many of the charities and organizations that choose to attack the beer community from the high moral ground, are themselves often in no position to take such a lofty nose-in-the-air position. 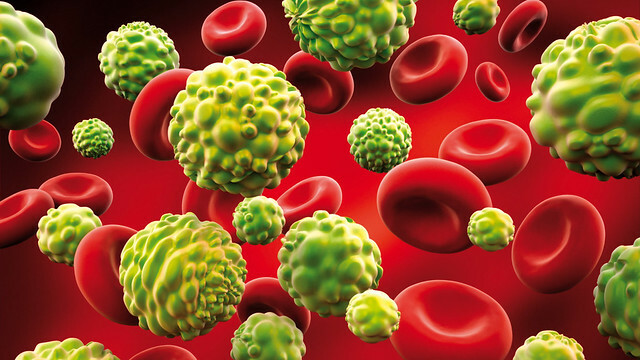 In recent years, several cancer charities have criticized the alcohol industry for our fundraising efforts while hypocritically working with KFC and other unhealthily partners, as I detailed a few years ago with Biting the Hand That Feeds You. Between several of these cancer charities, and the usual prohibitionists, people who work in the alcohol field who want to do good and raise money for a cause that’s dear to them are routinely insulted and criticized for doing so. But taking a closer look at the charities themselves, as I started doing a few years ago, it’s not always clear how much actual good they’re really doing. Just how many charities are there? In the U.S. alone there are a staggering 1.5 million non-profit organizations, the vast majority of them characterized as public charities. That’s essentially one charity organization for every 213 people in America. Of those, I don’t know how many are involved with cancer, but you can bet it’s a lot. In a partnership between the Tampa Bay Times, the California-based Center for Investigative Reporting, and CNN (who joined the partnership in 2013), they examined all of the charities and created a list of America’s 50 Worst Charities. Of the top ten, the second worst charity in the U.S. is a cancer one, the Cancer Fund of America. In fact, fully four of the top ten are cancer charities. In the full list of the top 48 worst charities, ten of them involve cancer. A surprising number of them are also about missing children, veterans and police and fire fighting groups, sad to say. But what prompted this was a report on Mashable I saw recently entitled Cancer charities allegedly misused $187 million for concerts and dating sites, U.S. says. Apparently, “Law enforcement from all 50 states and the District of Columbia, along with the Federal Trade Commission” charged four of them — Cancer Fund of America, Cancer Support Services, Children’s Cancer Fund of America and the Breast Cancer Society — “with taking money that donors had given to help cancer patients and using it to on themselves as well as their families and friends,” in an amount in excess of $187 million. The money was used “to buy cars, trips, luxury cruises, college tuition, gym memberships, jet ski outings, sporting event and concert tickets, and dating site memberships,” and even for providing lucrative jobs to friends and family. Two of the charities, Children’s Cancer Fund of America and the Breast Cancer Society, will be shut down. I don’t know why the other two would continue. The Washington Post also detailed the story, and also published their 5 reasons why it took the feds so long to catch on to the cancer charities scam. I find it incredibly sad that the state of charities has become so deplorable. It’s to the point where you don’t know whether you can even trust someone soliciting donations, no matter how worthy the cause might sound. The odds are becoming increasingly likely that it may very well be a scam. And undoubtedly that hurts however many charities remain that are actually staying true to their purpose, because at least in my case I’m not giving to anybody until I’ve had a chance to look into the charity asking for my donation. And without the time to adequately do that most times, my default position is a blanket no. So I think the state of the charitable industrial complex has itself become a cancer of sorts, eating itself. With trust in non-profits understandably plummeting, what will that mean for the good work of the few? The sham charities are harming not only the people they bilk out of their cash and savings, but making many others, I have to assume, reluctant to donate to any charity without first knowing more about them. There must be a special circle of hell reserved for these people, praying on people’s better natures with their own worst. This is pretty cool. 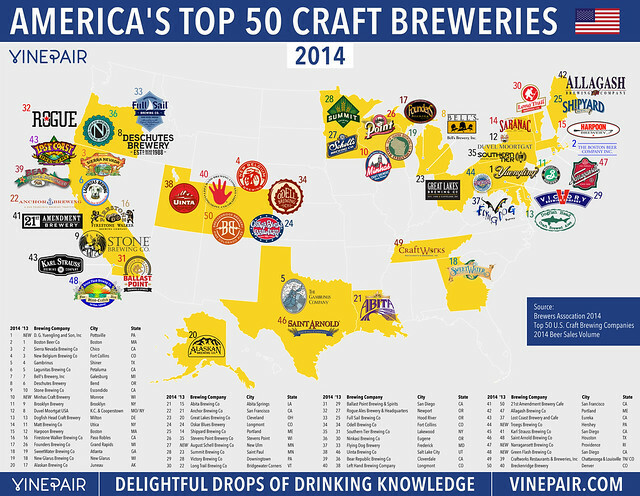 Vinepair took the list the BA released on Tuesday, the Top 50 Craft Breweries For 2014, and created an infographic showing where the top fifty are located. It’s interesting to see the pockets where there are only smaller breweries, those ranked 51-3000+. It does appear that the top 50 are concentrated in a few broad areas. Here’s an interesting map. 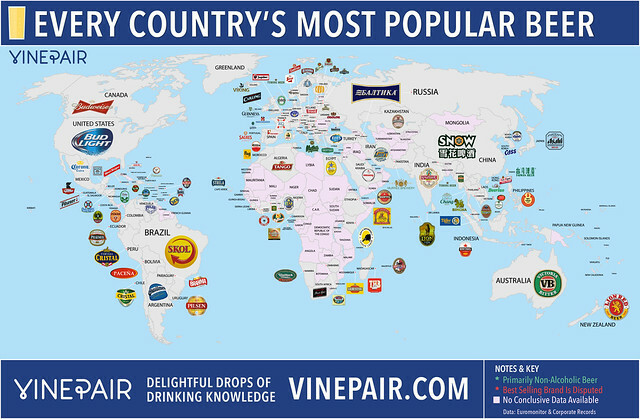 Vinepair has created a global chart of “The Most Popular Beer in Every Country,” based on “market share for each country” from “the most recent year available.” If they couldn’t find the data, or if there wasn’t a clear winner, they left them off the map, which is why there are some countries with no beer listed. That’s especially true in Africa and parts of Asia but, curiously, for Scotland, Wales, and Northern Ireland, too. The preliminary numbers for 2014 are out, and the news is fairly spectacular, especially if you remember Kim Jordan’s keynote speech in New Orleans predicting and challenging the industry to set 10 percent share of the market as an attainable goal. The Brewers Association today revealed that craft beer’s share of market finally blew past 10% and is now 11% of the total beer market, by volume. 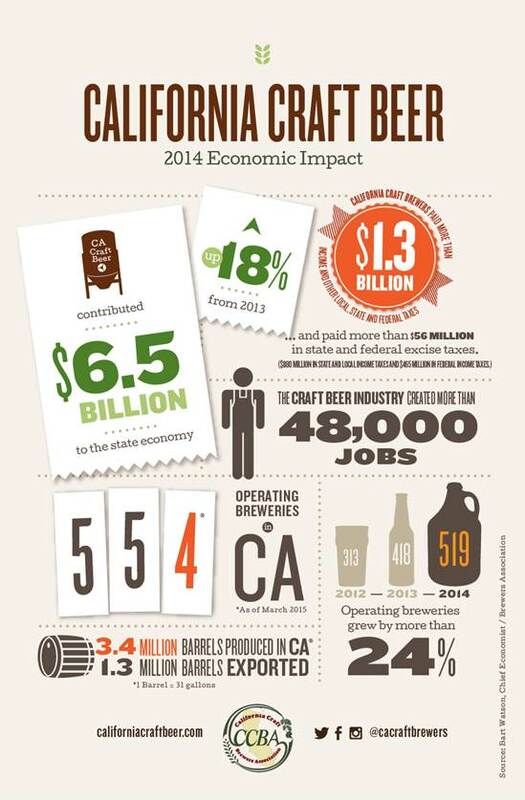 In 2014, craft brewers produced 22.2 million barrels, and saw an 18 percent rise in volume2 and a 22 percent increase in retail dollar value3. Retail dollar value was estimated at $19.6 billion representing 19.3 percent market share. 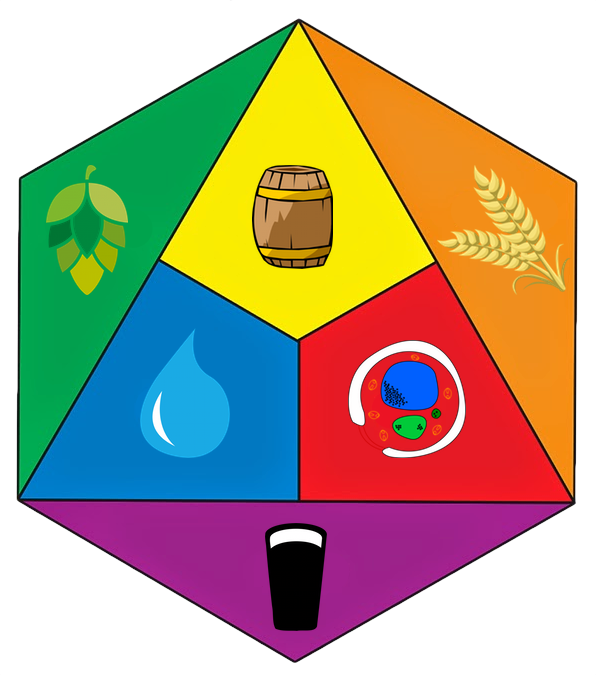 Additionally, the number of operating breweries in the U.S. in 2014 grew 19 percent, totaling 3,464 breweries, with 3,418 considered craft broken down as follows: 1,871 microbreweries, 1,412 brewpubs and 135 regional craft breweries. Throughout the year, there were 615 new brewery openings and only 46 closings. Combined with already existing and established breweries and brew pubs, craft brewers provided 115,469 jobs, an increase of almost 5,000 from the previous year.